In the early 19th century, Galapagos had a reputation for being a barren and harsh environment, and very few people actually volunteered to live in the first colony. Some of the earliest settlers were Ecuadorian soldiers who had been sent to the Islands as prisoners by the government after a failed coup in 1832. Soon they were joined on Floreana by common criminals and political prisoners, and the colony began to expand. The settlers began to harvest a moss called Orchil which was used in the printing industry to make the colour purple. As this was not very profitable, the colony soon reverted to farming. After food resources were diminished on Floreana, settlers dispersed over the Islands to set up small colonies. Manuel J Cobos arrived on San Cristobal in 1866 and became the island’s first owner. San Cristobal is one of the largest islands and one of the only islands with a steady supply of fresh water. Cobos founded a colony called ‘El Progreso’. In 1879 Cobos decided the colony would cultivate sugar cane and coffee.The rich volcanic soil of San Cristobal means the island is suitable for growing both of these crops. Cobos imported beans from the French Caribbean colonies for his coffee plantation and the plantation became known as ‘El Caeftal’. The ‘Cobos’ Empire used prisoners shipped from Guayaquil who were then forced by the Ecuadorian government to labour on the island. Cobos was known for being harsh on his labourers, and in 1904 they rebelled and assassinated him. As a result El Progresso and El Cafetal were abandoned for many years. However, the colony continued and San Cristobal remains the seat of Government in Galapagos. In 1893 on the south east coast of Isabela, Don Antonio Gil established two colonies. One was named after General Villamil and the other Santo Tomas. Santo Tomas was established for the purpose of mining sulphur and coral. 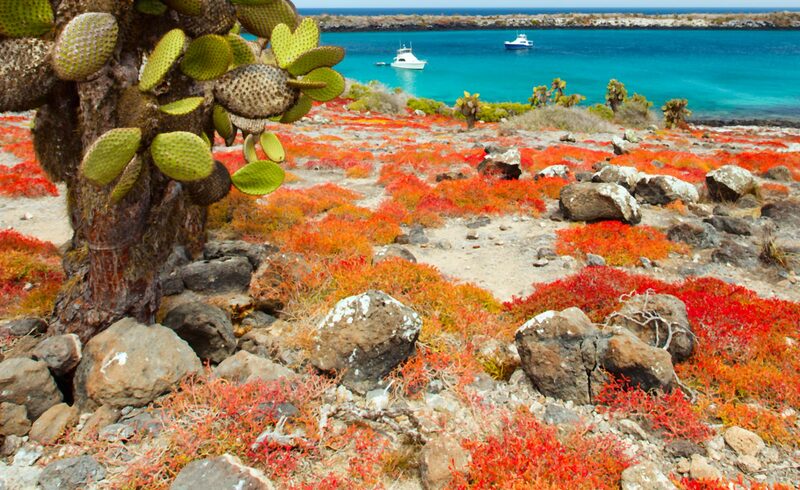 The world of science increasingly recognised the significance of the Galapagos Islands. There were increased visits by naturalists and collecting Galapagos specimens became the driving force for visitors. In 1901 and 1905 naturalist Rollo Beck visited, leading the California Academy of Sciences Expedition. They stayed on the Galapagos Islands for more than a year. The expedition gathered the largest collection to date with over 76,000 specimens. They even collected all but one species of giant tortoise. 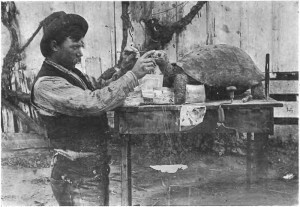 It was thought at the time that an extensive collection of specimens was the only way to ensure the posterity of Galapagos species. 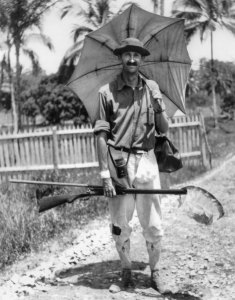 William Beebe raised the profile of the Galapagos when he traveled to the Islands twice; first in 1923 and then in 1925. After each visit he published a book documenting his travels and the sights he saw on the islands. ‘Galapagos: World’s End’ and ‘The Arcturus Adventure’, published in 1924 and 1926 respectively, captured the imaginations of aspiring naturalists and idealists around the world.‘Galapagos World’s End’ was seen as the catalyst for new wave of eco-tourists visiting the islands. Wealthy individuals wanted to see the strange lands for themselves. Visiting Galapagos became easier by the completion of the Panama Canal in 1914. Eco-tourism is still hugely important to the Islands.